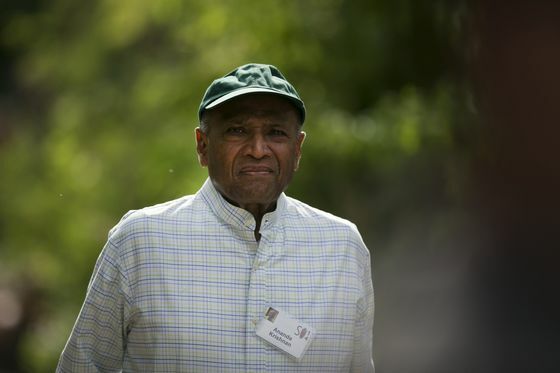 (Bloomberg) -- Malaysian billionaire T. Ananda Krishnan’s Bumi Armada Bhd. is nearing an agreement for a loan of around $500 million, people with knowledge of the matter said, in a deal that will give the embattled energy firm more time to restructure. Bumi Armada swung to a loss last year as lower crude prices hurt demand for its offshore oilfield services, making it more difficult for the company to pay back its debt. The company had 10.4 billion ringgit ($2.5 billion) of total borrowings at the end of December, data compiled by Bloomberg show. Local brokerage JF Apex Securities Bhd. cut its recommendation on the stock this month to “hold,” from “buy,” over concerns about its debt refinancing as well as execution risks and lower crude oil prices. It’s also recently been downgraded by CIMB Group Holdings Bhd. and Macquarie Group Ltd.
Shares of Bumi Armada tanked 80 percent last year, while the benchmark FTSE Bursa Malaysia KLCI Index declined 5.9 percent. The company reported a net loss of 2.3 billion ringgit in 2018, compared with a net income of 352.2 million ringgit a year earlier. Bumi Armada had 1.58 billion ringgit of unsecured short-term term loans at the end of last year, and is in discussions with lenders about refinancing the debt with long-term borrowings, according to a February exchange filing. The company is planning to sell assets, optimize its cost structure and pursue collections from customers to strengthen its cash flow, the filing showed.